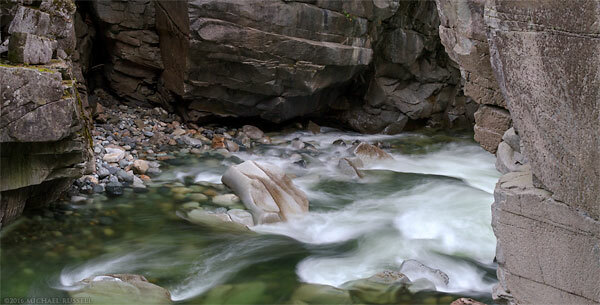 The Coquihalla River and the Othello Tunnels at Coquihalla Canyon Provincial Park in Hope, British Columbia, Canada. Coquihalla Canyon Provincial Park sits in the Coquihalla Gorge very near to Hope, British Columbia, Canada. I hadn’t visited this park since 2012, which might have been the most recent year of truly great fall colour in this part of BC. During that visit I didn’t walk all the way to the Othello Tunnels and instead headed to Silver Lake (which, considering the fall foliage there was a good choice). 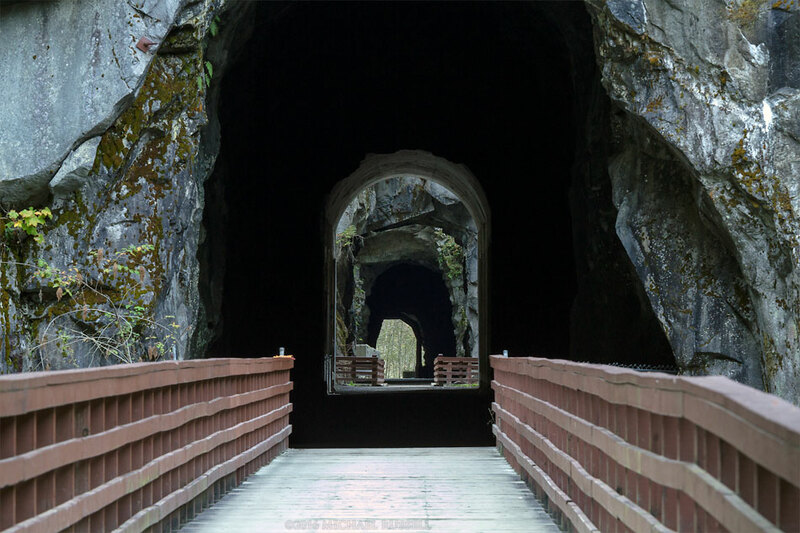 In early October I was at Coquihalla Canyon again and decided to photograph the tunnels, bridges and the river. There wasn’t much in the way of fall foliage this time around, but many of the compositions available for the river, bridges and tunnels don’t have much fall foliage potential anyway. 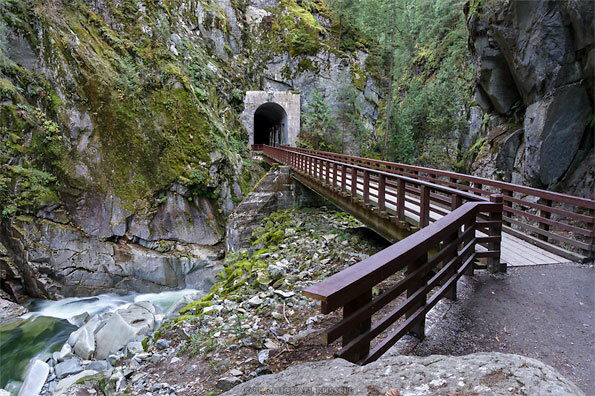 Coquihalla Canyon Provincial Park’s main trail follows the old CPR Kettle Valley Railway route through the Coquihalla Gorge which earlier linked Hope to the Thompson Okanagan as far as Midway, BC. 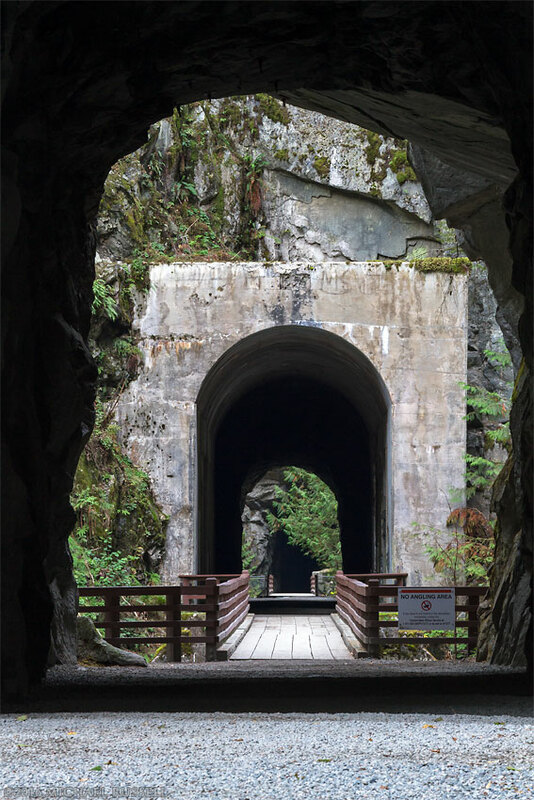 The 5 tunnels in the park are collectively known as the Othello Tunnels (or the Othello-Quintette Tunnels) and were constructed in 1914. It seems the engineer for these bridges and tunnels was a Shakespeare fan – other stations in the area had names such as Portia, Iago, and Romeo & Juliet. I always bring a flashlight to navigate these tunnels. One especially is fairly long and has a point where you can’t see much light from either end. It is easy enough to navigate without one, but I prefer to avoid the water filled potholes that form from the groundwater dripping through the tunnel ceilings. Falling down with my camera equipment in the dark isn’t usually high on my todo list. This time I ticked off some other visitors as they thought a flashlight was rude. I guess they wanted to fall down in the dark? 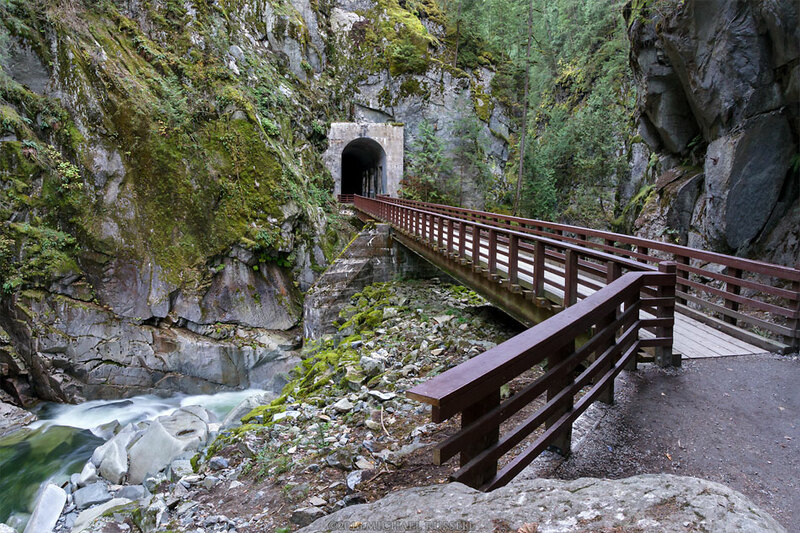 The bridges and tunnels aren’t the only attractions here, the Coquihalla River and the gorge walls are visible much of the time while walking through the park. 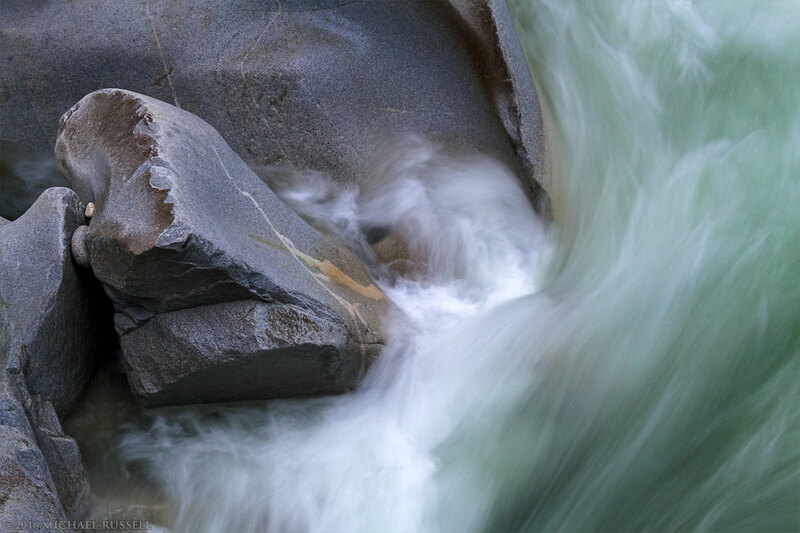 There are interesting shapes in rocks worn smooth by the flow of the river and the canyon walls themselves are interesting. The panorama below shows one of these spots just before one of the tunnels. The canyon walls can be as much as 300 feet high, so there are always interesting rock formations to look at. For more of my photographs from British Columbia’s Provincial parks please visit my BC Provincial Parks Collection. 2017 Nature Calendar Now Available! Really interesting article mate! We want to visit British Columbia, are theta lot of wildlife in this park? There is a lot of wildlife in this part of BC, but I don’t recall seeing all that much in the park. This time of year you might find some spawning salmon and Bald Eagles. I wouldn’t say this is a destination for wildlife photography, but there is a ton of good areas nearby.